Kitty and Puppy are out of control! They're screaming, fighting, hissing, and drooling all over the house, and all of the commotion is upsetting Baby. Time for school—obedience school, that is. Can Kitty learn to follow the rules and make friends with the other students or will she bring chaos to the classroom? Find out in Bad Kitty's hilarious, new (mis)adventure! This was such a cute book. Formed in a comic strip way, this was a very fast read and a story I knew my daughter would absolutely love. I read it first just to make sure. This is also part of the Bad Kitty Series books, which I'm looking forward to having my daughter read. 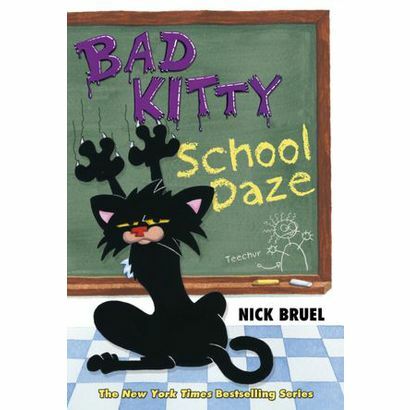 So basically Bad Kitty School Daze is about a cat and a dog who get sent to obedient school by their owner. They have to learn how to behave, manners and how to be friendly. This is a cute book for kids seven and up and highly recommend it. While my daughter was reading it I could hear her laughing in the background and when she was done with the book, two days later, she was so excited to share with her dad and I what she had read. Not only was this a bit of a humor book, but it also teaches kids how to be respectful with others around you. Definitely recommended for any of you with a young child who enjoys reading or who loves cats! Disclosure: All opinions are my own. I received Bad Kitty School Daze at no cost for the purpose of this review. No other compensation was received. Getting Healthy with #Kelloggs Special K!